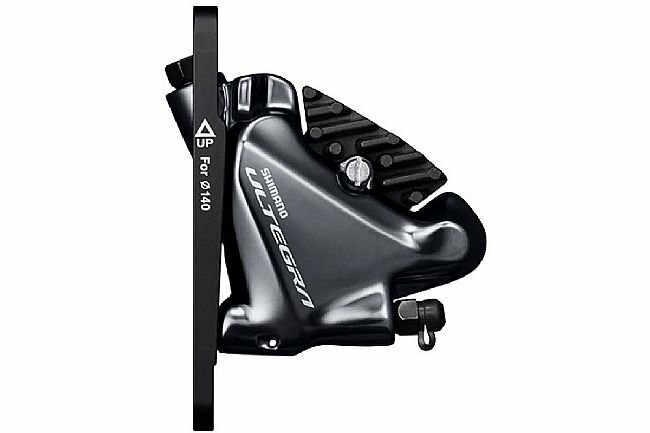 The Shimano Ultegra BR-8070 Brake Caliper marks the first hydraulic disc brake caliper to bear the Ultegra name, bringing with it the control and precision you'd expect from the Ultegra line. Compatible with flat mount frames and forks, the 8070 is designed for modern road riding, providing better heat management and control than previous Shimano Hydraulic, Ice Tech and Freeza technologies. The sleek, aero profile of the caliper blends in with the frame, providing for plenty of clearance for aggressive cornering. Weighing in at just 280 grams per pair, the 8070's keep their footprint on the scale to a minimum.